Attorney Shawn McMillan is continuing his fight against the corrupt Child and Protective Services in California, and has now filed a class action lawsuit against Orange County California for allegedly seizing more 5000 children in State-sponsored kidnappings. This follows his December 2014 class action lawsuit against CPS in Riverside County in California, which is also accused of kidnapping "thousands" of children without cause. our children where removed July 14, 2015 for medical neglect because I rescheduled a dental appointment for my 5 year old daughter for first time ever. Her dental issues were addressed and taken care of within 2 weeks after being removed and my children at that point, according to code 300, should have been returned home. The judge at our detentional hearing who made the order to detain our children from us is now my wife's court appointed attourney. So very much corruption and disregard of the law in our case it is impossible to write it all here. Need a good lawyer who is not afraid of cps or the juvenile court system and I have the cash needed to retain services. [email edited]@gmail.com James. James, please find me on Facebook. Faith Loveland....picture of a lion. Please feel free to contact each other via our secure Chat. 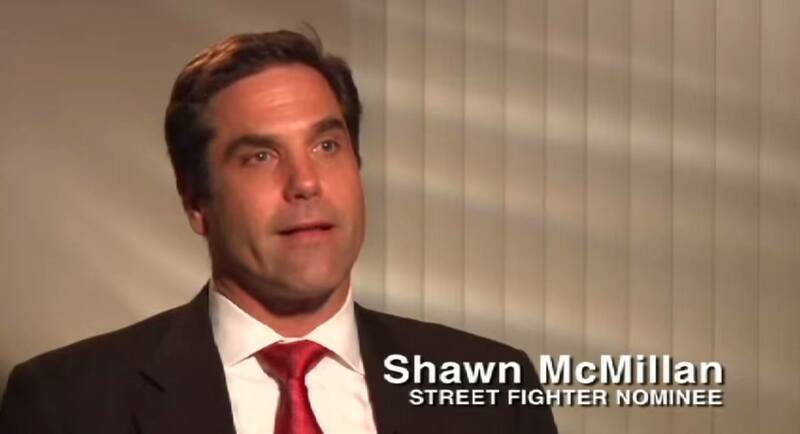 Admin said: > Attorney Shawn McMillan is continuing his fight against the corrupt Child and Protective Services in California, and has now filed a class action lawsuit against Orange County California for allegedly seizing more 5000 children in State-sponsored kidnappings. > > This follows his December 2014 class action lawsuit against CPS in Riverside County in California, which is also accused of kidnapping "thousands" of children without cause. Its about time.My children and I became victim to Orange County CPS. how my children were removed and the process was not legal or right. When can you file a class action lawsuit against LA County? There many be more victims than in Orange County. I am hoping that we could file a class action suit against Michael Antonovich so that he never becomes a senator to continue this horror. God bless you, Shawn! Shaken baby is another form of medical kidnapping. Diligent investigation shows that most, if not all, of these shaken baby cases, are fabrications, lies and darn lousy science, or poor understanding of science among many of those with decision authority. Belief and promotion of the "theory" of shaken baby among the general public is a huge political position with a lot of momentum, so any reasonable, genuine, scientific peer-reviewed discussion between opposing points of view is severely attenuated. Taking "shaken babies" is a huge profit generator for CPS. In juvenile court it is left to a commissioner in a "confidential" courtroom to "judge" the credibility of "expert" witnesses, when he/she does not know enough science to distinguish true science from bluffing and lies. And on this very weak foundation a judgment is made and a baby is taken from his parents. And the commissioner, not willing to show his ignorance of the science, opts to be "on the safe side" by deciding that it MIGHT be true that the baby was shaken, and if so, "Why take a chance?" Appeals courts do not judge facts, so the "facts" decided by the commissioner stand. But they are NOT facts. They are wrong! Yet on that basis, EVEN THOUGH no crime was proven beyond a reasonable doubt, as in criminal court, a baby is stolen from his parents. What could be more cruel and unusual punishment than that? I hope to meet you someday to talk about this issue. This is HUGE! https://www.change.org/p/dcf-cps-departments-of-children-and-families-social-services-and-workers-to-stop-violating-constitutional-and-civil-rights-be-held-responsible-for-all-illegal-actions Please sign my petition. If we all stand together, we can stop this. I was in the system in California. My Mom was mentally ill. For attention she use to make up stories. CPS came and removed me from my Grandmothers home. My Mom claimed to be to sick and poor to take care of me. I was subject to see things I should have never been exposed to. Less then 2 weeks later my Grandfather passed away, My Grandmother had a massive stroke, and when she cam home from the hospital my Uncle was found dead in the house. The stress pretty much killed everyone. My Mom never wanted me and worked with the Social Worker Lee Ann Hobbs to have me in custody. My Mother would even talk to her about faking she was mentally unstable and unfit to care for me. She would go to the hospital for a few days and they would take me away. My mom was a dead beat and admitted to me later everything. She said she never had a childhood and always had to take care of her brother and work growing up. She was spoiled and the system helped her achieve a lifestyle she claimed I took from her. The system makes me puke! It is like a disease that spreads onto people for personal and financial gain. I would like any information I can to do the same, or how to open a case in Federal Court here in Florida. Thanks! all help is appreciated. So will this go nationally now? Will every single parent in the United States be able to join the lawsuit? Because they've had their child stolen, had false allegations made against them, ultimately lost their child for good? This needs to go national where every single parent and grandparent and even siblings can join the lawsuit. Money needs to go to the parents that lost their child and money needs to be set aside for the child so that if and when that child comes back they have some kind of foundation. Shawn, your a beacon of light for so many who are separated from their families. May we all get money to send our wounded kids to college now!!! Good job Shawn..we need you in Iowa..GOD BLESS YOU AND YOUR FAMILY. Sad part is they are doing it for the money. Follow the money.